done, very happy and for sure for me a milestone. 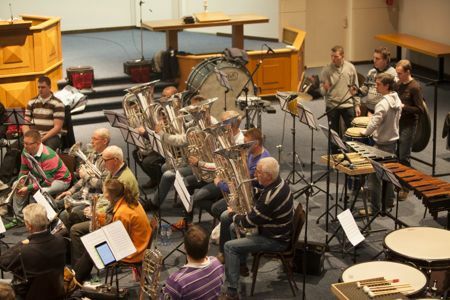 Great new repertoire for basstrombone & Brass Band by Steven Verhelst. Amsterdam Staff Band with Olaf Ritman in top-shape. 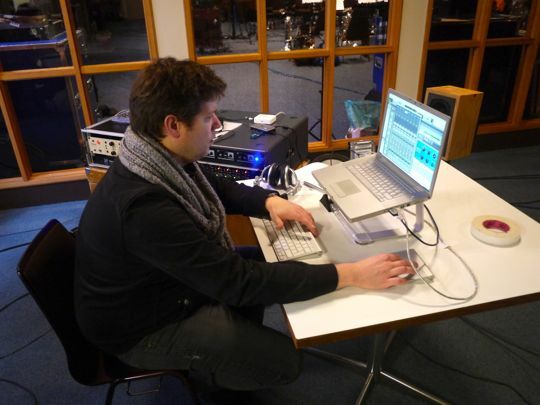 Martin Van Den Berg made an amazing sound so now up to the editing-process! 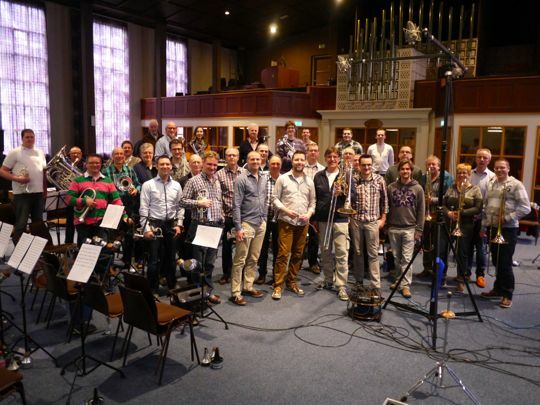 The Amsterdam Staff Band and the recording team all together after the last recording session! 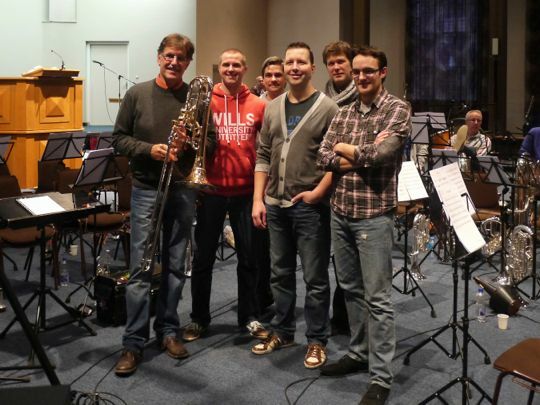 Last Friday and Saturday we had the second (last) recording session with Bass trombone virtuoso Ben van Dijk. 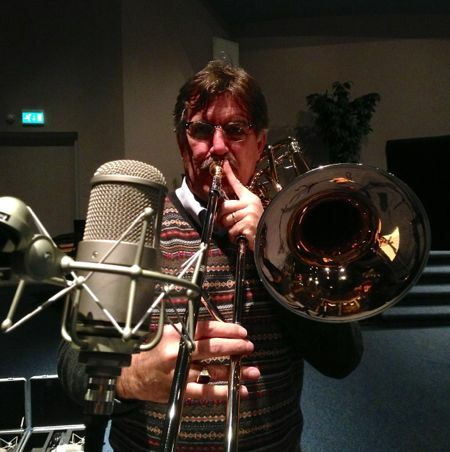 I already mentioned it a few times, but after this sessions I am very positive, he IS the greatest bass trombone player in the world, no doubt. Apart from this, he is also an incredible motivator, perfectionist, encourager and... well, just a GREAT guy! The sessions went very smooth and we were even able to record more on the first day than planned so we had a kind of relaxed second day. To work with a player of Ben's caliber is really out of this world for such simple non professionals as we are, but there was really a great mutual respect and as both Ben and the ASB simply love to play, there were no problems at all. The few first things we heard back during the breaks really promises something that on no other brass band recording has been done! The great thing to work with a player as Ben van Dijk, is that he is literally world famous and this new CD will be sold worldwide, which means that people also get to hear the sounds of the Amsterdam Staff Band! There is only but one negative comment on this new production, and that is that we now have to wait until the release, which will be around September / October! But it will be worth to wait as this will be an extraordinary CD, mind my words!